Improving condition monitoring and diagnostics, as well as overall system optimization, are some of today's core challenges in the use of mechanical facilities and technical systems. This topic is taking on an ever-greater role not only in the industrial sector, but wherever machines are used. Machines used to be serviced according to a plan, and late maintenance would mean a risk of production downtime. Today, process data from the machines is used for predicting the remaining service life. Especially critical parameters such as temperature, noise, and vibration are recorded to help determine the optimal operating state or even necessary maintenance times. This allows unnecessary wear to be avoided and possible faults and their causes to be detected early on. With the help of this monitoring, considerable optimization potential in terms of facility availability and effectiveness arises, bringing with it decisive advantages. For example, with it, ABB1 could verifiably reduce downtimes by up to 70%, extend motor service life by up to 30%, and decrease the energy consumption of its facilities by up to 10% within a year. The main element in this predictive maintenance (PM), as it is known in technical jargon, is condition-based monitoring (CBM), usually of rotating machines such as turbines, fans, pumps, and motors. With CBM, information about the operating state is recorded in real time. However, predictions about possible failure or wear are not made. They only come about through PM and thus mark a turning point: With the help of ever-smarter sensors and more powerful communications networks and computing platforms, it is possible to create models, detect changes, and perform detailed calculations on service life. To create meaningful models, it is necessary to analyze vibrations, temperatures, currents, and magnetic fields. Modern wired and wireless communications methods already permit factory- or company-wide monitoring of facilities today. Additional analysis possibilities are yielded through cloud-based systems so that the data providing information about the condition of the machine can be made accessible to operators and service technicians in a simple way. However, local smart sensors and communications infrastructure on the machines are indispensable as a basis for all of these additional analysis possibilities. How these sensors should look, which requirements are imposed on them, and what the key characteristics are—these and other questions will be considered in this article. Probably the most fundamental question in condition monitoring is: How long can I let the machine run before maintenance becomes necessary? In general, it logically applies that the sooner maintenance is performed, the better. However, for the goal of optimizing operating and maintenance costs or to fully achieve maximum facility effectiveness, the knowledge of experts who are familiar with the properties of the machines is needed. In the analysis of motors, these experts predominantly come from the area of bearings/lubrication, which experience has shown to be the weakest link. The experts ultimately decide if a deviation from the normal state with respect to the actual life cycle (see Figure 1) should already lead to repair or even replacement. Figure 1. Life cycle of a machine. Thus, the still unused machine is initially in the so-called warranty phase. Failure at this early stage in the life cycle may not be able to be ruled out, but it is relatively rare and can usually be traced back to production faults. Only in the subsequent phase of interval maintenance do targeted interventions by appropriately trained service personnel begin. They include routine maintenance performed independently of a machine's condition at specified times or after specified periods of use, as is the case, for example, with an oil change. The probability of failure between the intervals is still very low here, too. With increasing machine age, the condition monitoring phase is reached. From this point on, faults should be expected. Figure 1 shows the following six changes, starting with changed levels in the ultrasonic range (1) and followed by vibrations (2). Through analysis of the lubricant (3) or through a slight increase in temperature (4), the first signs of pending failure can be detected before an actual fault occurs in the form of perceivable noise (5) or heat generation (6). Vibration is often used to identify aging. The vibration patterns of three identical machines over their life cycles are shown in Figure 2. In the initial period, all are within the normal range. However, starting at middle age, the vibrations increase more or less rapidly according to the load before increasing exponentially to the critical range at the end of life. As soon as the machines reach the critical range, an immediate reaction is necessary. Figure 2. Changes in vibration parameters over time. Parameters such as the output speed, the gear ratio, and the number of bearing elements are of prime relevance for analysis of the machine vibration pattern. Normally, the vibrations caused by the gearbox are perceived in the frequency domain as a multiple of the shaft speed, whereas characteristic frequencies of bearings usually do not represent harmonic components. Vibrations due to turbulence and cavitation are also often detected. They are typically connected with air and/or liquid flows in fans and pumps and hence tend to be considered as random vibrations. They are usually stationary and exhibit no variance in their statistical properties. However, random vibrations can also be cyclostationary and hence have statistical properties. They are generated by the machines and vary periodically, as in an internal combustion engine in which ignition occurs once per cycle in each cylinder. The sensor orientation also plays a key role. If a primarily linear vibration is measured by a single-axis sensor, the sensor must be adjusted according to the direction of the vibration. 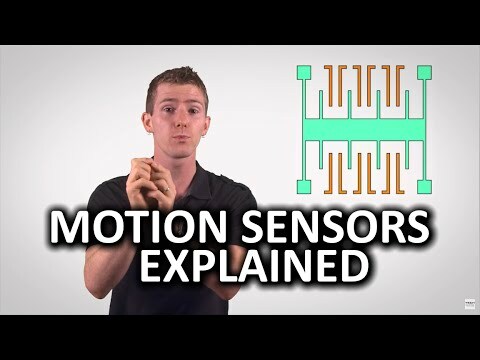 There are also multiaxis sensors that can record vibrations in all directions, but single-axis sensors offer lower noise, a higher force measuring range, and a larger bandwidth due to their physical characteristics. To enable widespread use of vibration sensors for condition monitoring, two factors are of great importance: low cost and small size. Where previously piezoelectric sensors were frequently used, MEMS-based accelerometers are increasingly being used today. They feature higher resolutions, excellent drift and sensitivity characteristics, and a better signal-to-noise ratio, and they enable detection of extremely low frequency vibrations nearly down to the dc range. They also are extremely power saving, which is why they are also ideal for battery-operated wireless monitoring systems. Another advantage over piezosensors is the possibility of integrating entire systems in a single housing (system in package). These so-called SiP solutions are growing to form smart systems through incorporation of additional important functions: analog-to-digital converters, microcontrollers with embedded firmware for application-specific preprocessing, communications protocols, and universal interfaces, while also including diverse protective functions. Integrated protective functions are important because excessively high forces acting on the sensor element can often result in sensor damage or even destruction. The integrated detection of a possible overrange delivers a warning or deactivates the sensor element in a gyroscope by switching off its internal clock and thus protecting the sensor element. A SiP solution is shown in Figure 3. Figure 3. MEMS-based system in package (left side). As demands in the CBM field increase, so do the demands on the sensors. For useful CBM, the requirements regarding the sensor measuring range (full-scale range, or FSR for short) are already in part greater than ±50 g.
Variable a stands for acceleration, f for frequency, and d for the amplitude of vibration. Thus, for example, for a 1 kHz vibration, an amplitude of 1 µm already yields an acceleration of 39.5 g.
Regarding noise performance, this should be very low over as wide a frequency range as possible, from nearly dc to the middle two digit kHz range, so that beyond other artifacts, bearing noise can also already be detected at very low speeds. Yet it is precisely here that the manufacturers of vibration sensors are currently facing a huge challenge, especially for multiaxis sensors. Only a few manufacturers offer adequate low noise sensors with bandwidths of greater than 2 kHz for more than one axis. Analog Devices, Inc. (ADI) has developed the ADXL356/ADXL357 three-axis sensor family especially for CBM applications. It offers very good noise performance and outstanding temperature stability. Despite their limited bandwidth of 1.5 kHz (resonant frequency = 5.5 kHz), these accelerometers still deliver important readings in condition monitoring of lower speed equipment such as wind turbines. The single-axis sensors in the ADXL100x family are suitable for higher bandwidths. They offer bandwidths of up to 24 kHz (resonant frequency = 45 kHz) and g ranges of up to ± 100 g at an extremely low noise level. Due to the high bandwidth, the majority of faults occurring in rotating machines (damaged plain bearings, imbalance, friction, loosening, gear tooth defects, bearing wear, and cavitation) can be detected with this sensor family. The analysis of machine states in CBM can be accomplished using various methods. The probably most common methods are analysis in the time domain, analysis in the frequency domain, and a mix of the two. In vibration analysis in the time domain, the effective value (root mean square, or rms for short), the peak-to-peak value, and the amplitude of vibration are considered (see Figure 4). Figure 4. Amplitude, effective value, and peak-to-peak value of a harmonic vibration signal. The peak-to-peak value reflects the maximum deflection of the motor shaft and thus allows conclusions about its maximum loading to be made. The amplitude value, in contrast, describes the magnitude of the occurring vibration and identifies unusual shock events. However, the duration or the energy during the vibration event and hence the destructive capability are not considered. The effective value is thus usually the most meaningful because it considers both the vibration time history and the vibration amplitude value. A correlation for the statistical threshold for the rms vibration can be obtained through the dependencies of all of these parameters on the motor speed. This type of analysis proves to be very simple because it requires neither fundamental system knowledge nor any type of spectral analysis. With frequency-based analysis, the temporally changing vibration signal is decomposed into its frequency components via a fast Fourier transform (FFT). The resulting spectrum plot of magnitude vs. frequency enables monitoring of specific frequency components as well as their harmonics and sidebands, as shown in Figure 5. Figure 5. Spectrum plot of vibration vs. frequency. The FFT is a widespread method used in vibration analysis, especially for detecting bearing damage. With it, a corresponding component can be assigned to each frequency component. Through the FFT, the dominant frequency of the repetitive pulses of certain faults caused by contact between rolling elements and defective regions can be filtered out. Due to their different frequency components, different types of bearing damage can be differentiated (damage on outer race, on inner race, or in ball bearing). However, precise information about the bearing, motor, and the complete system is needed for this. Additionally, the FFT process requires that discrete time blocks of the vibration be repeatedly recorded and processed in a microcontroller. Although this requires slightly more computing power than time-based analysis does, it leads to more detailed analysis of the damage. This type of analysis is the most comprehensive because it combines the advantages of both methods. The statistical analysis in the time domain provides information about the vibration intensity of the system over time and at the same time whether or not it is within the permissible range. The frequency-based analysis enables monitoring of speed in the form of the fundamental frequency as well as further harmonic components required for precise identification of the fault symptoms. The tracking of the fundamental frequency is especially decisive because the effective values and other statistical parameters change with speed. If the statistical parameters change significantly from the last measurement, the fundamental frequency must be checked so that possible false alarms can be avoided. A change in the respectively measured values over time is common to all three analytical methods. A possible method for monitoring the system can involve first recording the healthy condition, or generating a so-called fingerprint. It is then compared with the constantly recorded data. In the case of excessive deviations or when exceeding the corresponding threshold values, a reaction is necessary. As shown in Figure 6, possible reactions can be warnings (2) or alarms (4). Depending on the severity, the deviations may also require immediate intervention by service personnel. Figure 6. Threshold values and reactions for the FFT. Due to the rapid development of integrated magnetometers, measurement of the stray magnetic field around a motor represents another promising approach to condition monitoring of rotating machines. Measurement is noncontact; that is, no direct connection between the machine and the sensor is required. As with the vibration sensors, with the magnetic field sensors, there are single- and multiaxis versions. For fault detection, the stray magnetic field should be measured both in the axial direction (parallel to the motor axis) and in the radial direction (at a right angle to the motor shaft). The radial field is usually weakened by the stator core and the motor housing. At the same time, it is significantly affected by the magnetic flux in the air gap. The axial field is generated by the currents in the squirrel-cage rotor and in the end windings of the stator. The position and the orientation of the magnetometer are decisive in enabling measurement of both fields. Hence, selection of a suitable location close to the shaft or the motor housing is recommended. It is also absolutely necessary that the temperature be measured at the same time because the magnetic field strength is directly related to the temperature. Hence, for the most part, today's magnetic field sensors contain integrated temperature sensors. Calibration of the sensor for compensation of its temperature drift should also not be forgotten. The FFT is used for magnetic field-based condition monitoring of electric motors just as it was for the vibration measurement case. However, for evaluation of the motor condition, even low frequencies in the range of a few Hz to about 120 Hz are sufficient. The line frequency stands out clearly, whereas the spectrum of low frequency components dominates if a fault is present. In the case of a broken rotor bar in a squirrel-cage rotor, the slip value also plays a decisive role. It is load-dependent and ideally is 0% at no load. At the rated load, it is between 1% and 5% for healthy machines and increases accordingly in the event of a fault. For CBM, the measurement should hence be performed under the same load conditions to eliminate the effect of load dependency. Regardless of the type of condition monitoring, even with the most intelligent monitoring concepts, there is no 100% guarantee that there will be no unplanned downtimes, faults, or safety risks. These risks can merely be reduced. However, more and more, PM is crystallizing into a key topic in industry. It is being viewed as a clear prerequisite for the future sustainable success of production facilities. However, for this, innovative and rapid developments—the technologies of which must still be identified in part—are required. Deficits primarily exist in the comparison of customer benefit and cost. Nevertheless, many industrial firms have recognized the importance of PM as a success factor and hence an opportunity for future business—and not just in the servicing area. The technical feasibility of PM is largely given, despite the extreme challenges, particularly in the field of data analytics. However, PM is currently being driven quite opportunistically. It is expected that future business models will mainly be determined by software components and the value added share of hardware will successively decrease. In conclusion, investments in hardware and software for PM are already worthwhile today in light of the higher yields resulting from longer machine running times. Thomas Brand began his career at Analog Devices, Inc., in Munich in October 2015 as part of his master’s thesis. From May 2016 to January 2017, he was part of a trainee program for field application engineers at Analog Devices. Afterward, in February 2017, he moved into the role as field applications engineer. Within this role, he is mainly responsible for large industrial customers. Furthermore, he specializes in the subject area of industrial Ethernet and supports-related matters in Central Europe.